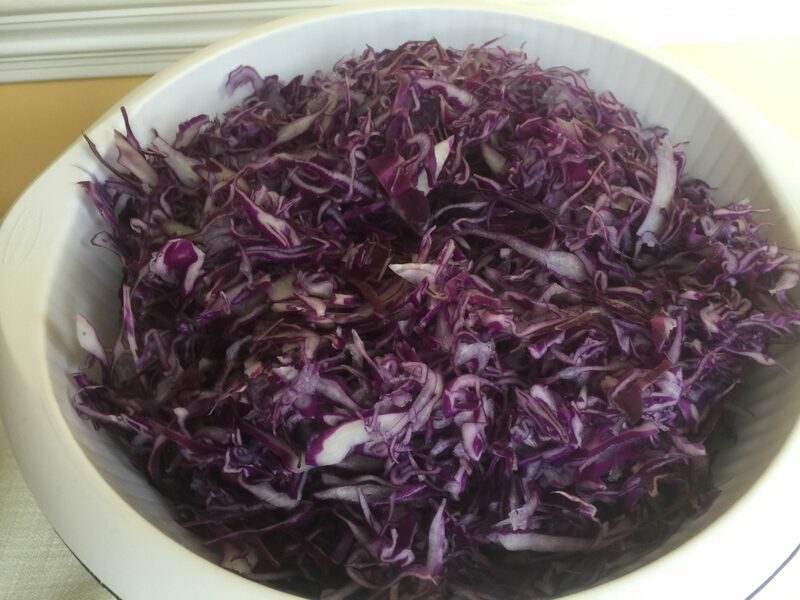 Traditional German Red Cabbage Recipe prepared with bacon, apples, and onions. 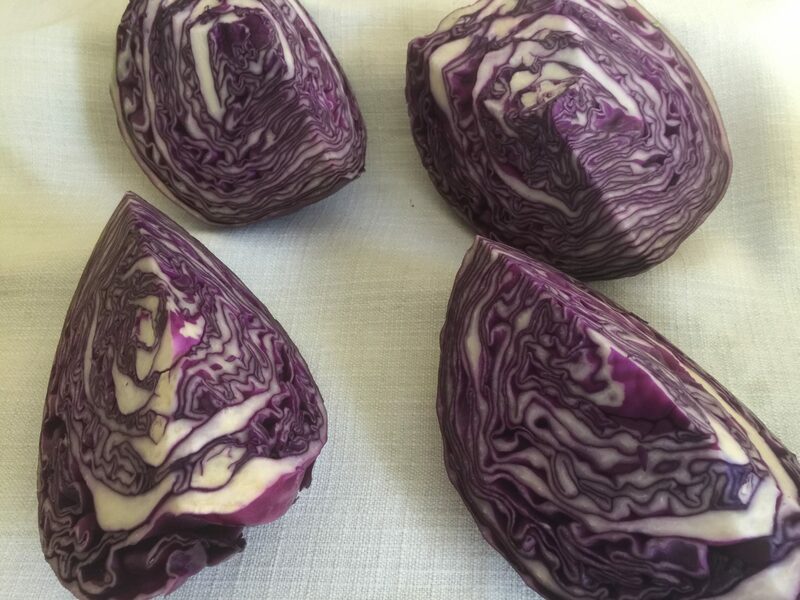 Red Cabbage is called Rotkraut or Blaukraut in Germany. Divide the cabbage into 4 quarters. Remove the core. Slice the cabbage in strips with a knife (or use a mandolin slicer as I did). Wash the sliced cabbage and place it in a colander to drain. Heat up the cut bacon in a pot to melt the fat. Remove the bacon pieces. Fry the onions in the fat until they are transparent. Add the red cabbage and stir. Cut the apples in small pieces and add them to the cabbage. Mix vinegar, red wine, and water together and pour over the cabbage. Add the seasoning (bay leaves, cloves, juniper berries, salt, sugar) and bring it all to a boil. Reduce heat and let it simmer on low heat for about one hour. Check on the cabbage from time to time and add water, if necessary. Finally, dissolve the corn starch in about 3 tablespoons of red wine, mix with a fork, and add the starch to the red cabbage to thicken the liquid slightly. To try the German Savoy Cabbage click here, the Creamed Spinach Recipe click here, and the German White Asparagus Recipe click here. Red Berry Compote and Vanilla Sauce German Yeast Dumplings The Oma Way.